U.S. Interior Secretary Sally Jewell on Wednesday approved the first phase of the Desert Renewable Energy Conservation Plan (DRECP), a framework for California’s development of renewable energy projects on 10.8 million acres managed by the Bureau of Land Management. Jewell’s approval of the bureau’s land use plan amendment marks the conclusion of Phase 1 of the DRECP, which identifies priority areas for developing renewable resources on federal lands within California while setting aside acreage for conservation and recreational uses. Phase 1 is the product of a collaboration among the California Energy Commission (CEC), the California Department of Fish and Wildlife, the U.S. Fish and Wildlife Service and BLM. “This landscape-level plan will support streamlined renewable energy development in the right places while protecting sensitive ecosystems, preserving important cultural heritage and supporting outdoor recreation opportunities,” Jewell said. The DRECP’s first phase is part of a broader California effort to open up a total of 22 million acres of public and private desert lands for renewable energy projects, an effort that could yield an additional 27 GW of additional renewable capacity, according to the CEC. Phase II of the plan focuses on aligning local, state and federal renewable energy development and conservation plans, and building on CEC grants already awarded to California counties to foster renewable development. The announcement was met with opposition from renewable energy groups, which say the DRECP fails to balance renewable growth with land preservation and “forecloses development” on millions of acres of federal lands in Southern California. The plan sets aside 388,000 acres for renewable development, much of which is not suitable for solar and wind projects, the groups say. 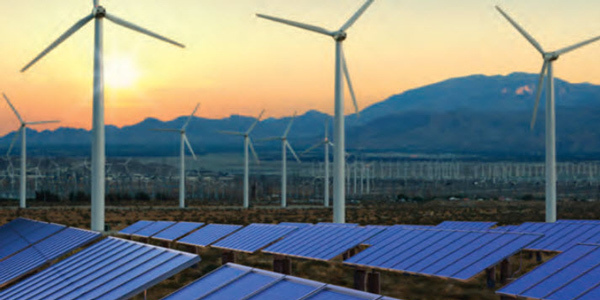 “No one is saying that utility-scale renewable energy should go everywhere, but done responsibly and with safeguards, it does have to go somewhere if we are to meet state, national and global carbon-reduction goals,” said Nancy Rader, executive director of CalWEA, which estimates the plan will create the potential for 1,000 MW of new wind resources. “The Interior Department and BLM missed a golden opportunity to balance the preservation of parts of the California desert with clean, renewable energy development across some of America’s richest renewable resource areas,” said Tom Kimbis, acting president of the Solar Energy Industries Association. Shannon Eddy, executive director of the Large-scale Solar Association, called the plan “a Model T in a Tesla world,” arguing that it fails to consider the “enormous” policy changes that will require renewable development on public land. “Rather than fostering sustainable clean energy development as a part of a conservation plan, it severely restricts wind and solar,” Eddy said. Environmentalists praised the plan, which sets aside nearly 2.9 million acres as new federal conservation land.